Editor’s Note: Our weekly guest spot is our effort to help our reading community connect with each other. “Being Isaac” is in response to our growing number of male readers. We think it’s important that there’s a male reply to our female’s call to live in passionate pursuit of Christ. We want to thank Isaac H. for submitting another post to us. English is not Isaac’s first language and we have decided not to edit out the grammatical errors in order to keep the post authentic. God has called Isaac H. to a very special ministry in Taiwan. God may not call all of us to live in such a radical fashion, but may we all be willing to step out how He wants us to when He wants. I want to share the testimony of when I put the contact lens on for first time in more than six month! 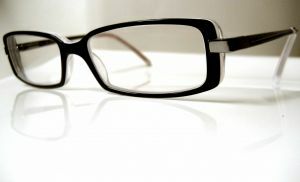 If you want to know why I did not wear any contact lens for six month, read my post: Speaking to the Spiritually Blind. I could have put on the contact lens on that Friday, but I decide wait until that Sunday when I was in the Lord’s house to worship my King. A few of us we go to help before church to get ready. We all pray together then I put on contact lens in the church before service starting. It was so overwhelm to me. I not even realize how much I was get used to not seeing, I was really adapt to not see so much that I expected put on the contact would be nice, I was look forward to it, but I did not realize how amazing it really would be!! I can see everything!! I got used to not seeing and not can believe how good everything look! I was become overwhelm. I ran outside. Even the ugly car and the ugly moped is become beautiful! I look down street and I see the signs on the buildings. I see the people’s faces. Even the colors seem brighter. I go inside. The girl who do the praise singing is set up the screen. I can read the lyrics on the screen. I praise my God. I praise and praise and praise. He help me through all this six month! Even my seeing was so terrible, but He kept me safe. I did not realize how bad is my seeing until I put on this contact lens!! When the worship begin I just feel so thankful to be able read the screen. I just worship my God. The spirit so strong in the church. Everyone worship. Then I go to preach. This time when I preach I was not nervous. God gave me the message so clear I was ready to just go tell the message. Part of my message I give testimony of what does God tell me to do to take out contact lens and how He guide me because most people my church do not know what I have been doing all this six month. My pastor was tell the church I will need some help to see, but he not tell them why. So I was explain this and I look the young woman I meet on street and she start saying thank you Jesus. And when I look her God show me He want to heal her today and she is going to win people to know Jesus. I did not even know she is sick. So I was a little hesitate when I see this, but to be obedient to God I say to her by your faith God going to make you whole. God healing you right now. And this girl shout thank you Jesus, thank you Jesus and she down off her chair face to floor and praising God. I was want to stop right there and praise with whole congregation and just start praying, but God say no let her praise me, you keep preaching. So I go back to telling what God tell me do and show me and I look this old grandma. I see God working on her. I say is no accident I fall where I do when I do. God arrange that for you. He arrange it all for you because He love you. He see you have a heart to reach out to people and He have a heart to reach out to you. And this old grandma who never seem to respond, I saw her eyes start to get wet. And when this happen God gives me the picture. He show me all her ancestor in a straight line one after another and he show this grandma in the line and all her children and grandchildren and great grand children in this straight line one after another. And he show me if she willing step out the line all the ones after her, her children, grandchildren, they will follow behind her. If she stay in the line, they will stay in the line, but if she step out to follow Jesus, they will step out too. I was not sure I should tell her this because I feel one reason she hesitate to respond to God is because she afraid step out the line of tradition. But I feel I need tell her and say your family will follow you as you follow Christ. If you make commit to follow Jesus, your family going follow you, but if you follow tradition, your family going be stuck in the tradition. And I say softly, you know is no hope in the tradition. The hope is in follow Jesus. And right then my little daughter got up from her seat and she walk over to grandma and take grandma’s hand. I was embarras and thought grandma going scold her for interrupt, but my daughter tug her hand and grandma get up! Grandma walk to the front. Grandma turn her head back and see my little baby following her. Then grandma slowly kneel down and my daughter follow after her and kneel down next to her! The whole church was praising God. But very quiet way. Very respectful way. They respect grandma do this and they so reverent to God see this. And so I finish my message with being obedient to God even when He ask you do hard things. Be obedient and follow after God. And when I end message everyone run to front to pray. And my pastor pray with grandma and she tell him she want get baptise! And pastor start make the arrange right away. He have the special pass and special arrange with hotel nearby and we go there sometimes to baptise people in the pool. Then a few of us go with grandma to baptise. Pastor bring grandma to side to explain everything. He talking to her. Then he come over to me and ask do I mind to get wet. I say why. He say so you can baptise grandma. I was shock! What an honor my pastor allow me to baptise grandma. Now I become nervous. And we all go and pastor pray and thank God and we baptise grandma. And when we help grandma out the pool she look around if anyone is there. When she see no stranger watching she sit on side and raise up her hands. She say thank you for accept me Lord. I will try to follow you Lord. Then she quickly look again is anyone watching. Then she close eyes again and pray quietly. Then quietly so peaceful she begin speak in the new dialect! The words coming out is the unknown language. I never see it happen this way so peaceful, just change the quiet words of prayer to unknown words of prayer. It was amazing to see. We serve a wonderful God. Never hesitate to follow what God tell you to do. Even if it is hard, it is worth it for the Kingdom of God. If He ask you to do it, He will help you to do it! Isaac H lives in Taiwan where he regularly preaches for two home churches in the city of Taipei. He is a devoted father who seeks to share the love of Christ with all he meets. Published with the permission of the author. Submit your own post at beingrebekah@outlook.com.